A record 42.6 billion online videos were viewed by 184 million U.S. Internet users during October 2012 according to a report recently released by digital measurement organization and Brightcove partner comScore. For those who are counting, that’s 938 videos per second for 31 days straight … in the United States alone! 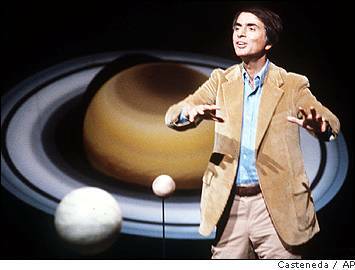 That’s enough billions to impress even Carl Sagan. Online video viewing is reaching Sagan-esque rates. Those numbers are rather striking on their own and certainly make for compelling data supporting the continued growth of online video delivery and consumption. Reading further into comScore’s report reveals that 14.9 percent (7.5 billion) of all videos viewed were advertisements. Americans are not only watching an awful lot of video online, they’re watching quite a few ads as well. 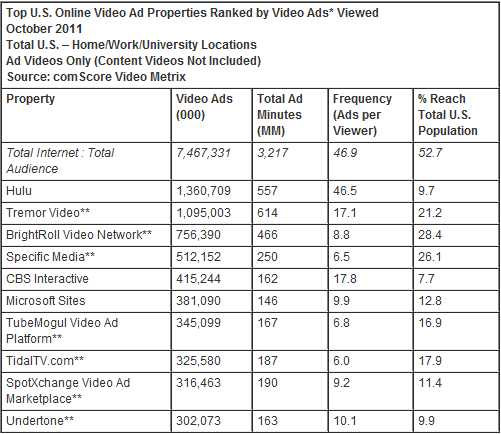 comScore created the following table of video ad properties ranked by video ads viewed. Of the seven ad networks in the rankings, Brightcove counts four as advertising and monetization technology partners: Tremor Video, BrightRoll, TubeMogul and SpotXchange. Those four networks accounted for more than 2.5 billion online video ads viewed during October. We think this speaks very highly to the quality and reach of our technology partner alliance, particularly considering there are more than 30 others in addition to the four named in the table. To reinforce the first footnote, these figures include only video advertisements and don’t represent other ad formats such as overlays and matching banners. This means there is an abundance of additional monetization opportunities available to publishers on top of the billions of video ads that are accounted for in the table above. comScore’s report offers some solid insights into online video viewing habits in general. What’s more, it underscores the tremendous potential presented by online video advertising, especially considering the sheer volume of content and ads that are being consumed. And remember, these figures represent U.S. viewers only. There’s vast global audience that’s hungry for video, and Brightcove’s advertising technology partners operate networks that serve audiences worldwide.